It was Rob's little sister's birthday yesterday which involved an all you can eat world buffet (including an all you can eat dessert table) followed by a big paella and a three tier cake stand filled with cupcakes, chocolate, cookies and more, so - not wanting to let tight clothes hold me back on this day of feasting - I pulled my trusty elasticated waist jumpsuit out for the day. Works every time. This is my first post as an Olivia Burton ambassador (although you might have seen the watch feature several times on my instagram already) which is really exciting as I've bee a big fan of the brand since I discovered them a while back. I'm kicking off my position as Lady Ambassador (definitely just gave myself that title, let's go with it) with the big dial chrono watch in black which is just beautiful, and exactly the style of watch I like. It also comes in a dreamy lilac and rose gold combination. My wrist is trembling at the thought. Gorgeous as always! 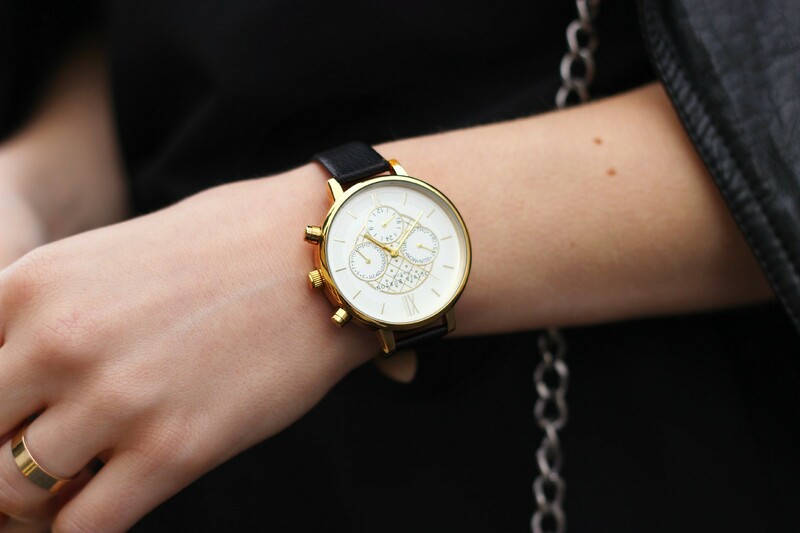 I love Olivia Burton watches too! 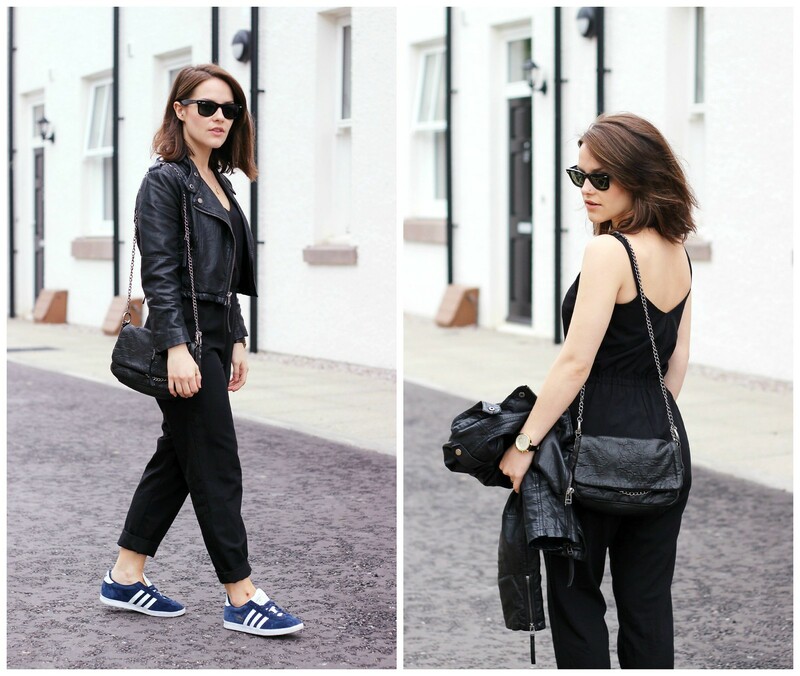 Love the jumpsuit and the casual look with the trainers! Love this look, and the watch is gorgeous. Elasticated waist bands are truly invaluable at a big meal! Trainers make outfits looks so cool and give such a sporty vibe, I love it!! I love this! All black with navy trainers is so cool. A weird thing to pick up on, but that jacket is cropped at the perfect length! Love this outfit, so simple! 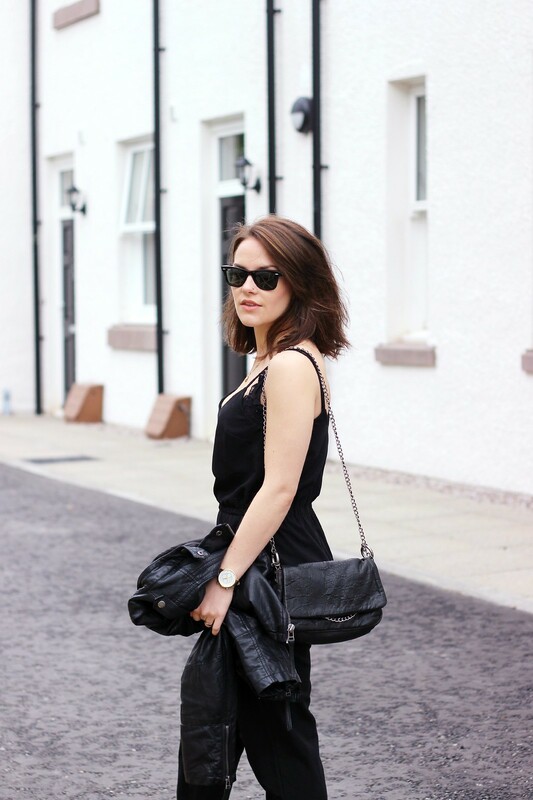 I love all black looks, and the trainers really stand out! gorgeous jumpsuit! and i love those sneakers! Bets job title evvvvur. Love this watch, it's beautiful!